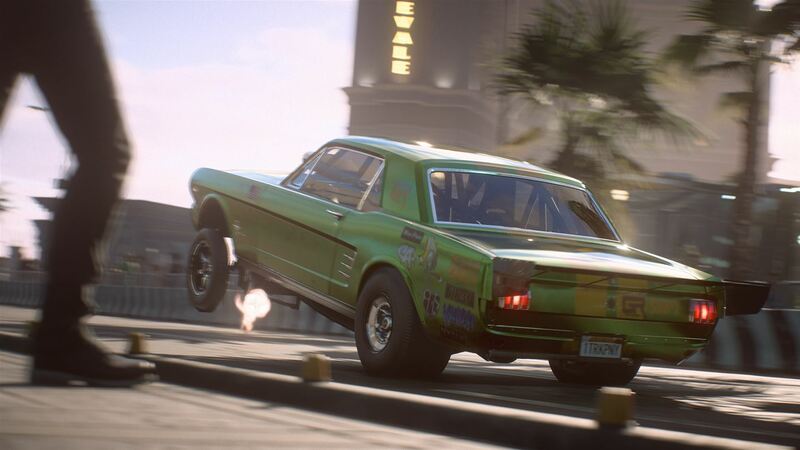 The latest entry in EA’s popular Need for Speed franchise is the appropriately named Payback, which traces the exploits of a crew of three street racers. These are Tyler, the self proclaimed “best racer in the city”, who will take on responsibility for race and drag events. He is joined by Mac, who takes on off road and drift events, and Jess, a hard nosed female racer who participates in “Runner” events – which largely revolve around escaping from the police. Coming from Ghost Games, who brought us the last entry in the series, Payback has a lot to live up to if it is going to match the highlights of the series. The question is, does it do just that, or is it left spinning its wheels by the side of the road? For those of you wishing to try before you buy, EA Access is offering a 10 hour trial for free to members of the program. It is limited, in that it will only allow you to play a certain amount of the story, and only allows you to play the race and off road events. It’s a fantastic way to see whether you will like the game, and for free, what have you got to lose? Having played and reported on the trial in an earlier article, the full game awaited, and I dived right on in. Thankfully though the racing is as fast and frantic as you’d expect; a blur of drifted corners, nitrous filled straights and head on collisions with oncoming traffic as I tried to fight my way to first place. Off road racing is exactly as you’d expect too – long lairy drifts through the dirt, big air from the lumps and bumps and close, fender to fender racing as you try to bully your way to the front. Beating the leagues outside the city will see the crew’s horizons expand as they return to the City, to “take back the streets” from the dastardly House, who are trying to control all racing in their sphere of influence. Once the crew hits the streets, more race types are opened up for them to take part in – the aforementioned Drift, Drag and Runner events – which are taken on by the respective racers. The new race types add a great deal to Payback, with Drag races challenging us to use only manual gears to win a drag race. Don’t think that these drags take place on a nice straight, empty track however; these are drag races on undulating, twisty city streets complete with traffic. As the difficulty rises, the roads get busier, and hitting another car or a wall while driving as fast as you can will destroy your vehicle and result in a DNF. On the other hand, Drifting has been really dumbed down, for want of a better phrase. Drifting on something like Forza (an unfair comparison, but bear with me), requires judicious use of the throttle, counter steering and having the speed just so. In Payback, it requires that you are going as fast as possible, preferably with the aid of nitrous, before steering into the bend. And that’s it. The rear end of the car will step out like a dream, staying smooth and controlled. If you wish to adjust the line, you can tap the brake to tighten the drift, but there’s no countersteering required. It actually took me a while to get used to this, because as soon as the rear started to slide, I was automatically counter steering and I would be thrown into the barriers. With a bit of practice and suppression of normal driving rules, I was winning drift races (by scoring the requisite amount of points) in my first drift-mobile. Runner events are also an awesome amount of fun, being the closest thing I’ve seen in a long time to a Burnout style event. Trying to escape the police, punting them into oncoming traffic or roadside obstacles, and then being treated to a loving slow-mo view of the 5-0 hitting a barrier before flipping out makes me very happy indeed. As Jess progresses through her missions, the police develop a new weapon that can shut down the car you’re driving remotely (yes, just like in 2 Fast 2 Furious) and the only way to stop them from doing this is to ram them. This leads to some amazingly fast and furious (sorry) chases through city streets, and is probably the most fun type of event in Payback. The new Xbox One X enhancements make a difference to the game as well. The loading times are impressive, there’s a general feeling of smoothness, and the controls seem to be more responsive, allowing for some truly ridiculous moments where all the laws of physics say that you should be a smear on the asphalt, but you manage to drift around a 90 degree bend and avoid the oncoming vehicle. These moments add to the feeling that you are almost playing a movie, like Vin Diesel is going to pull up alongside at any moment and challenge you to a race. If you ever begin to tire of driving around, fighting all comers, there are plenty of other things to do. Opening up the world map reveals a plethora of things to do, from finding derelict cars and their parts to buying garages, and finding gas stations, which act as fast travel locations. There are also billboards to break, casino chips to find and roaming racers to defeat. Finding the derelicts is a sensible move, as the cars, once they are assembled, can be made to be any class, and are able to be tuned more highly than ordinary cars. The ’65 Mustang is one of these, but it is already turning out to be a bit of a beast for Jess, as I made it a Runner class car. There’s a real whiff of Forza Horizon 3 about these explorable sections, being able to drive anywhere and jump off things without all the wheels falling off. Pleasingly, exploring with Mac and his off road vehicle makes things a lot easier, as there are some slopes Tyler’s racing machine just can’t climb. This was the one thing I had issues with in Forza Horizon 3; the Porsches and Corvettes where as fast off road as they were on tarmac, and it felt wrong. Here, in this one small aspect, it appears that realism has snuck in ahead of the arcade experience Need For Speed revels in. The story is interesting as well, which is a bonus in any driving game. The trials and tribulations of our crew as they are double crossed, triple crossed and then crossed again makes you keep playing just to see what happens next. The twists and turns are quite compelling as well, and more than once what should be a moment of triumph is turned into a frantic scramble to escape. 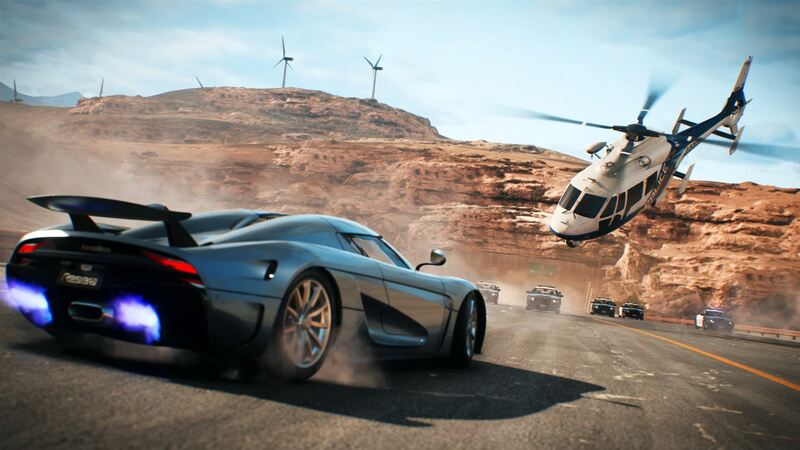 These missions are among the most exciting the game has to offer, even more so when you have to take control of all three characters in a single race, adjusting your driving style each time to best suit the car you have. It is helped by the addition of good voice acting from the characters and the missions will certainly keep you on your toes. After the Star Wars Battlefront 2 microtransaction debacle, you’ll no doubt be shocked to hear that another EA title has “Loot Crates” present and correct for purchasing. The good news is that I haven’t once felt the need to buy any, and they are awarded to you every time you level up your rep, so they aren’t unobtainable. The crates contain in-game money, vanity items, and speed card fragments, that can be rolled into new speed cards if you have enough fragments (three are required for each new card, and each card can also be broken down to give one fragment). The credits that you earn from races can be spent either on cards to tune the cars you have, or on garages and new vehicles. Races can also be rerun as many times as you like, so the grinding aspect of Payback is present, but luckily, the driving is fun enough to ensure that this is never too much of a bind. 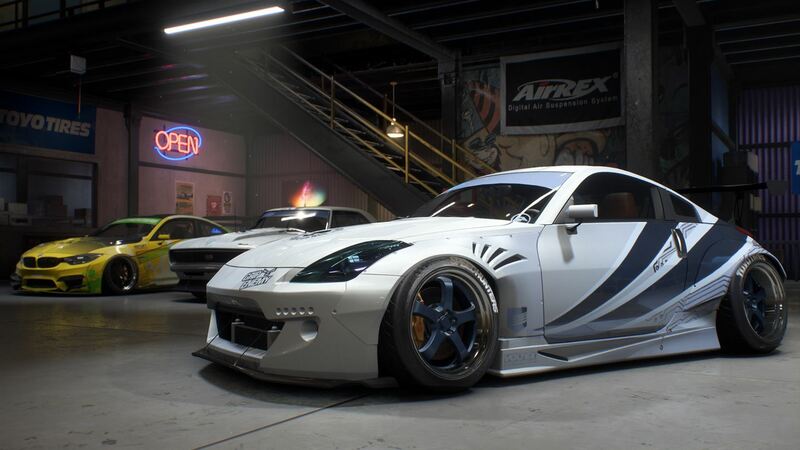 In conclusion and it’s safe to say that Need For Speed Payback is a return to the glory days for the series, able to mentioned in the same breath as Underground or Most Wanted. 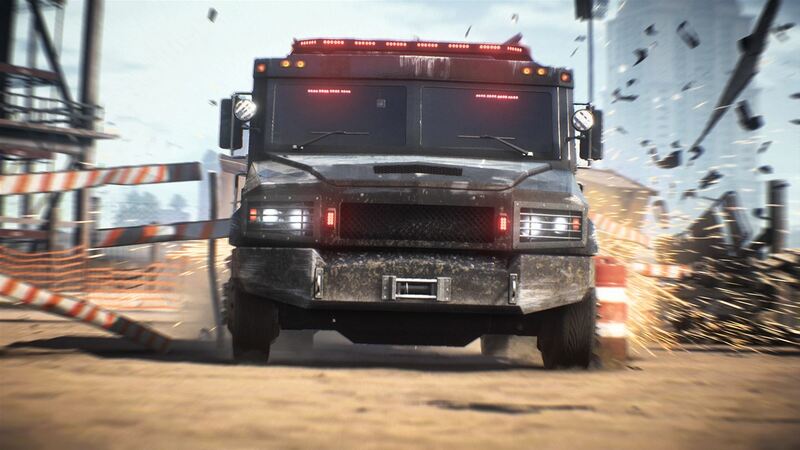 The driving is great fun, especially the Burnout style Runner sections, the story is good enough to make you want to see what happens next, and graphically it is very good indeed, particularly on the One X. Microtransactions do bring a bit of a sour taste, but they aren’t vital and there is no sense of ever having to pay to win, so they can safely be ignored. If you’re looking for some arcade driving fun to be had, then I’ll happily recommend Need For Speed Payback to anyone. Previous articleFree Xbox Games With Gold titles for December 2017 announced!